The wall, if built, would make chop off a piece of America roughly the size of Rhode Island and cut off Americans access to their own land and natural treasure and resources. 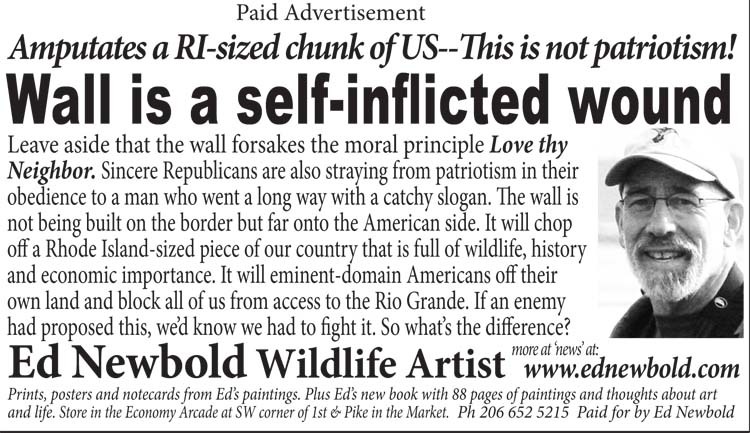 I am annoyed that the patriotism of the pro-border wall position has not been called into question. It makes America smaller and drastically restricts Americans’ mobility. How is that not unpatriotic? 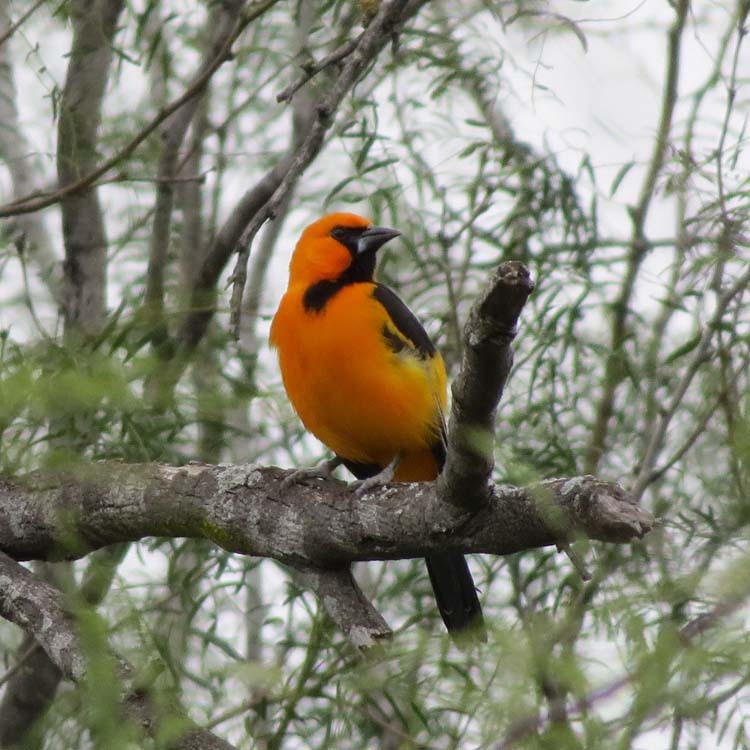 Above is an Altimira Oriole I photographed in Texas in 2015 about 200 ft. from the Rio Grande on land that will be both ruined for nature and inaccessible to Americans if we go forward with this project. 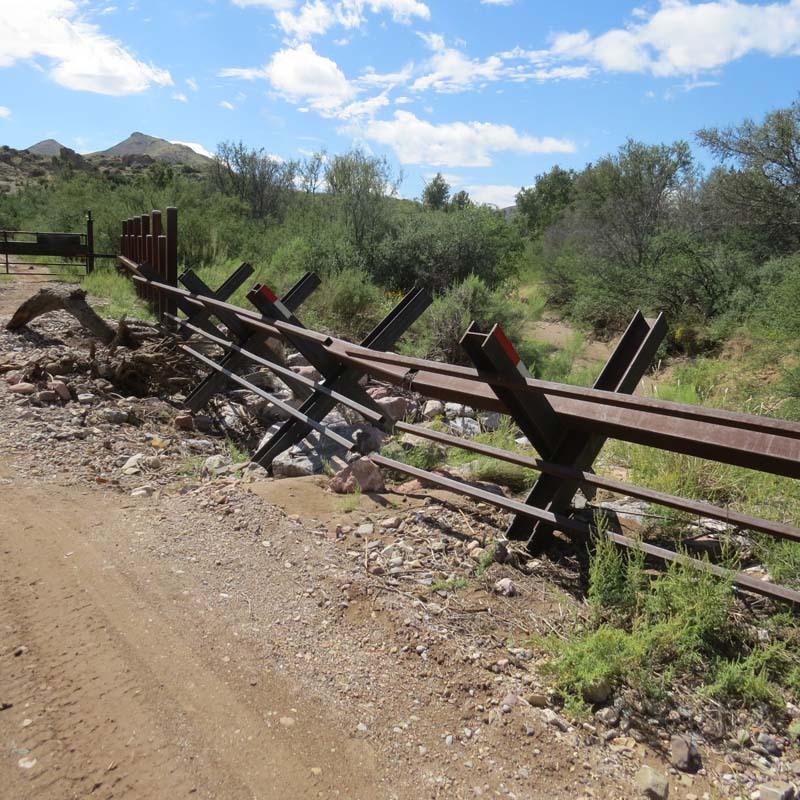 Here’s the tank barrier in Guadalupe Canyon on the border in extreme SW NM. I saw a Varied Bunting, a gorgeous blue and scarlet seed-eating bird, 10 ft. from here. Remember how people were recently killed in flooding near Phoenix? This border is on just such a place. The “micro-bursts” of rain in this country during the monsoon season are legendary. If you build a 30 foot wall here, where is the water going to go? The rest of the country gets to enjoy a handsome Kingfisher, the Belted Kingfisher. 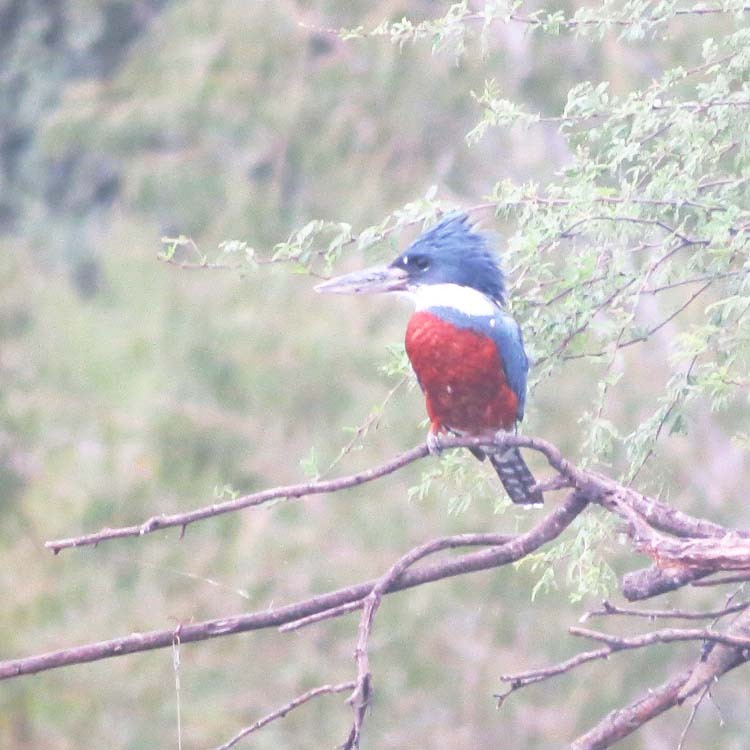 But in the riparian zone of the Rio Grande a much larger and more spectacular Kingfisher makes its home. Now that we are in the 6th Extinction, we as a nation should be more, not less concerned about God’s beautiful creatures that are struggling. I shot this bird with my camera at Benson State Park, near McAllen, one of the many gorgeous wildlife areas that would get trashed and degenerated by the wall.